Comments: This is a wonderful spring flowering vine that can be planted in the ground to grow on small structures like mail boxes, light posts, fences or even planted in a container on the patio and given a temporary structure to grow on. They can be allowed to grow on a large shrub or planted with a climbing rose. 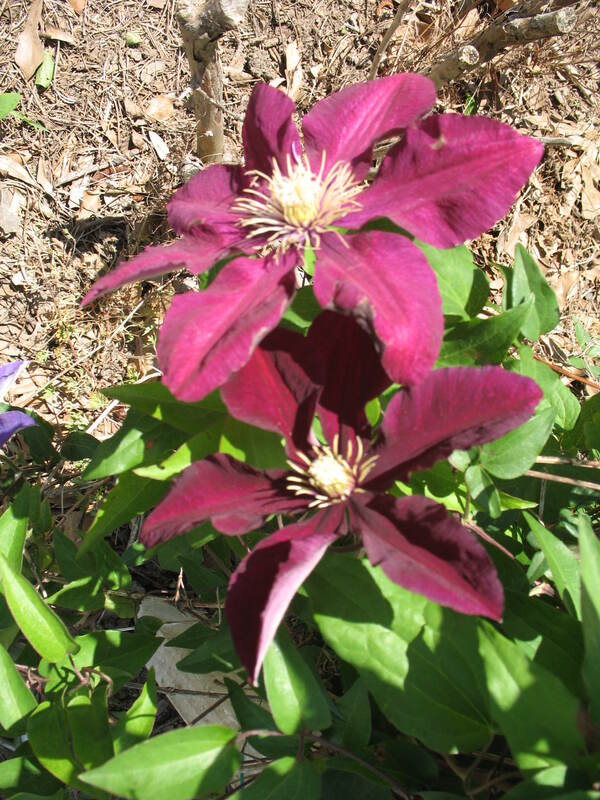 The growth of this hybrid clematis vine is easy to control and plants produce an abundance of large, showy flowers in spring. Clematis vines are easy to grow. Provide sunlight at least during the morning and give them a moist, well drained soil. This clematis has received the Award of Garden Merit from the Royal Horticultural Society in England.